HOW ARE FOSSILS FORMED & FOUND? 1. An animal dies. Fossils form best if the carcass is covered quickly with sediment (water and mud). 2. The flesh rots away, and the bones are slowly covered with layered sediment. 3. 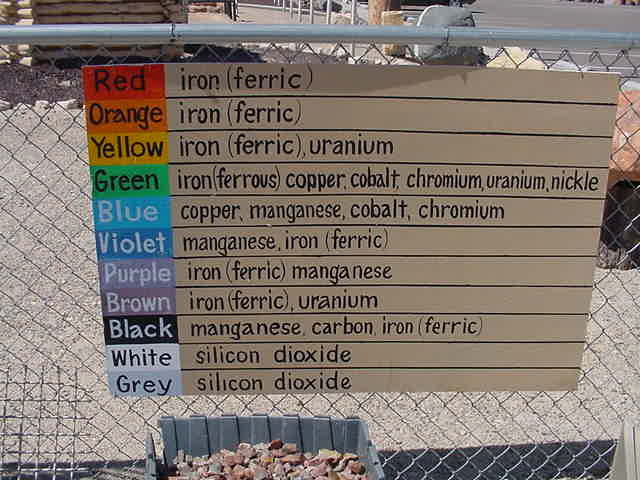 "Permineralization" occurs if some or all of the original material remains, but has been strengthened by minerals that were dissolved in the water that soaked into the bony structure. 4. "Petrification" occurs if water that contained minerals soaks into the pores of the bony structure, entirely replacing them with minerals. 5. Weathering. Earth movements and/or erosion, cause the fossil to become exposed. BUY A MINI MICROSCOPE, Scientist quality! 45x magnification ultraviolet LED Illuminated pocket microscope with storage case. UV light can be used for close inspection of: gems, minerals, fossils, tiny shark teeth in jaws, bugs, in short-anything in the natural world you are curious enough to want to see up close. Another great set! 12 identified specimens with information card on each, including shell, algae, ammonite, crinoids, wood, gastropod and more! 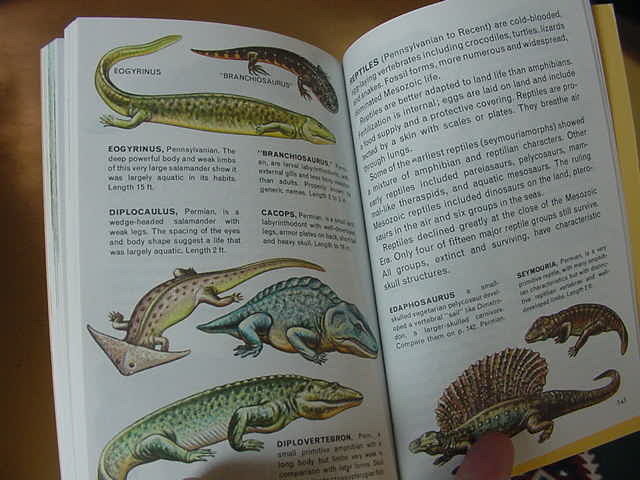 Generous sized specimens are 1" or more. Geological time scale included. 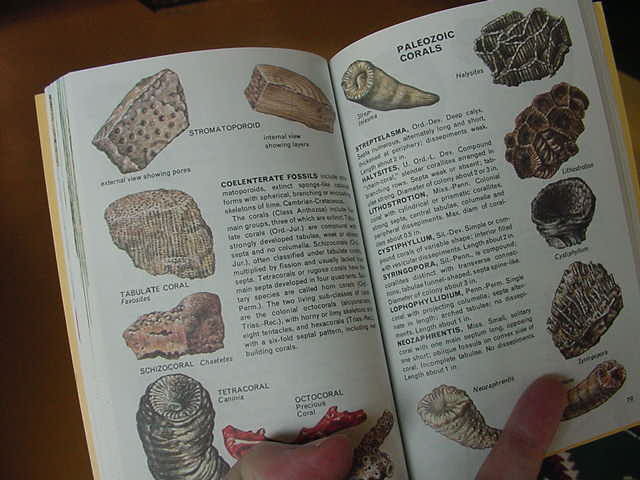 Fossil book is full of illustrations and good basic descriptions of invertebrate fossils, vertebrate fossils and plants, along with "what are fossils", "how to collect fossils" and a survey of life era by era. Pocket size is 6" x 4", 160 pages. 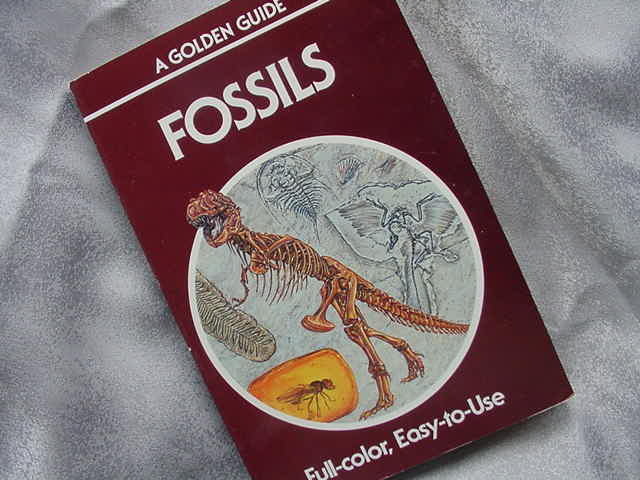 Great for the amateur fossil lover!